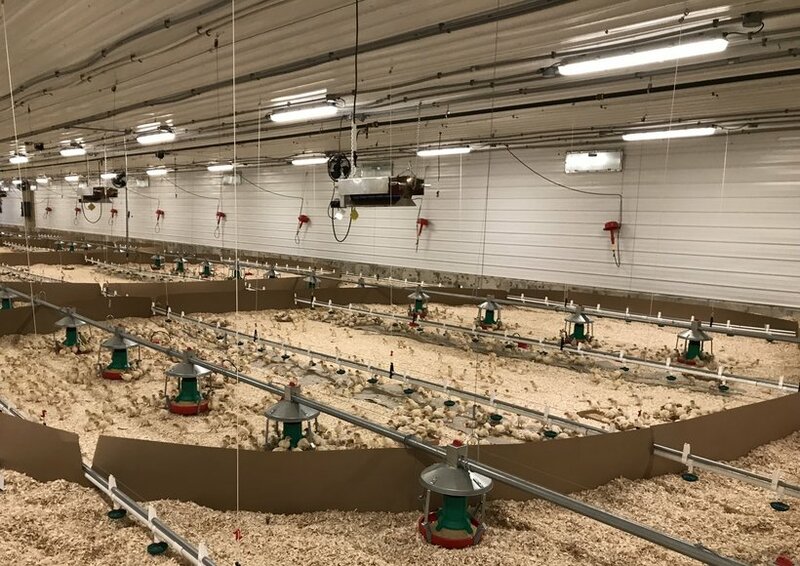 Throughout the world, many turkey producers are switching to LED lights in their barns. Significant savings on electrical operating costs makes LED lighting an attractive option. Before you flip the switch, it is important to buy the correct type and to ensure your existing system is properly set up to support LED lighting. Without proper research and set up, poor lighting can result and your birds may be negatively affected. It is important to understand that turkeys receive and interpret light differently than humans. Although the lights may seem perfectly normal to our eyes, to a turkey, the light could look like what you see in the video below. I took this video on my cell phone and then played it in slow motion. 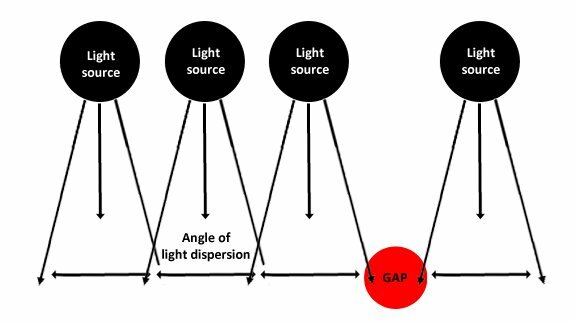 This is a quick and easy method to check the effect of your LED lights on your turkeys. As you can see, these lights are not set up correctly, leading to a high flicker rate. This situation can increase aggressive behaviour in your flock. Power factor: Ratio of real power to the apparent (used) power (>0.90%). IP grade: 65 or higher. This means that the light is dust tight with no ingress of dust and is protected against water jets from any angle. 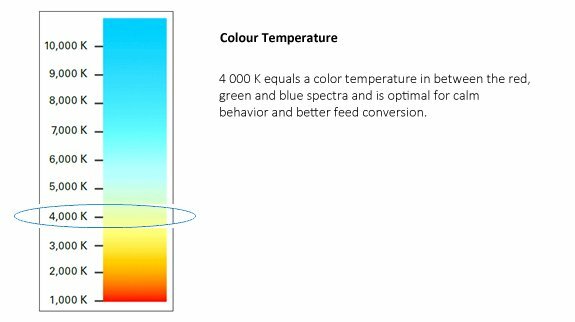 Note: If the IP grade is too low, especially the second number, the lights could be damaged during washing and disinfection of the barn. The key to success with lighting is UNIFORMITY. If you have any questions or concerns about LED lights in your facilities, contact a Hybrid representative or consult with a licensed electrician.